There's nothing easier than a good one pot meal. Throw all the ingredients in a crock pot and voila! 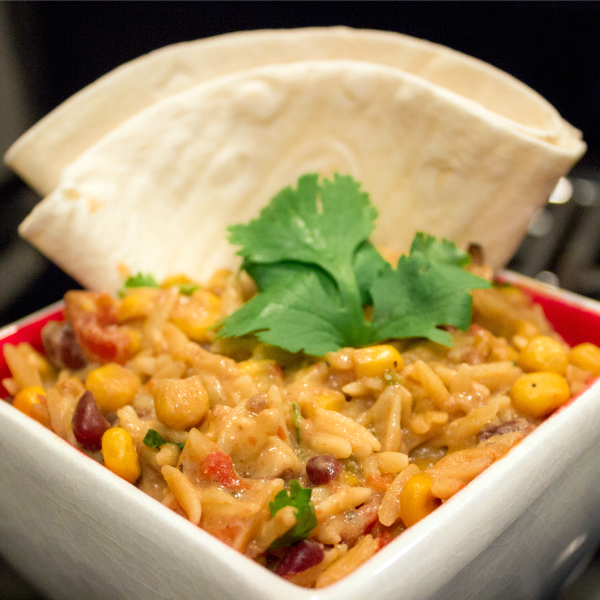 You have this delicious enchilada rice ready for dinner. Add more veggies into this dish to give it more fiber. Check out what's in season, or use frozen or canned vegetables you may have in your pantry! Place diced tomatoes, enchilada sauce, green chiles, vegetable broth, corn, black beans and brown rice into a slow cooker. ; season lightly with salt and pepper. Stir until combined. Top with cream cheese. Cover and cook on low for 7-8 hours or high for 3-4 hours. Uncover and stir until cream cheese is well combined. Cover and cook on high heat for an additional 15-30 minutes. Add more vegetable broth as needed until the desired consistency is reached. Top with cilantro, if desired and serve.